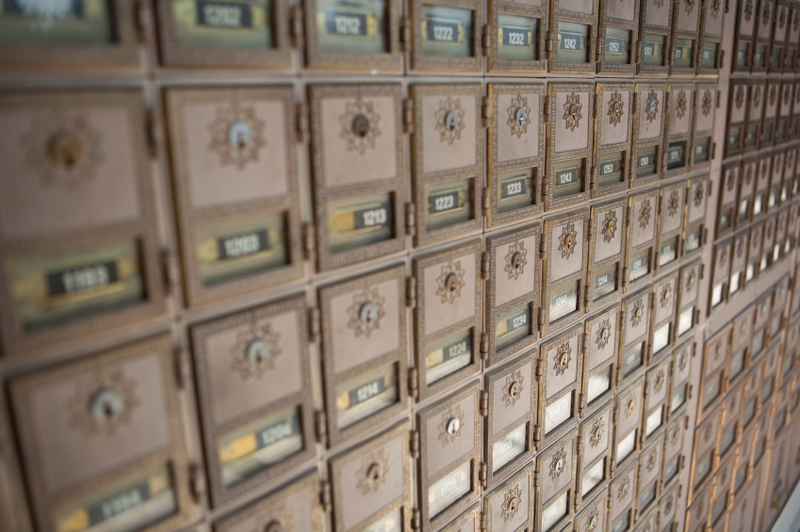 The TurboTax Blog > Tax Tips > Avoid the Post Office Lines This Year: e-File! Avoid the Post Office Lines This Year: e-File! Still haven’t filed your taxes? No problem. You have until April 18th, 2011 to get them prepared and filed. Want to avoid the last-minute long lines at the post office this year? Why not give e-filing a try? More than ever, people are using home computers for tax preparation and/or realizing the advantages to e-filing their federal tax return. The IRS is reporting that as of March 4, 2011, almost 19 million tax returns have been e-filed from home computers. That’s almost 6% more when you compare it to the number of e-filed returns last year at the same time. 1. Fewer tax-time expenses. You can e-file your federal return for free with most services, including TurboTax. It’s hard to beat free. Taxpayers who e-file don’t have to worry about a stamp, envelope, or trip to the post office (for delivery confirmation). Of course, if you hand-write your tax return, then you could potentially come out ahead expense-wise. But you’d still have to overcome these other advantages to e-filing. 2. Getting your refund faster. Returns that are filed electronically get processed by the IRS faster. Those who e-file can begin checking the status of their returns after only 48 hours. Simply put, if you e-file and if you’re due a refund, you’ll get your money back faster. In addition to this, if there are errors on your return, the IRS can pick up on them quicker if you e-file. They’ll send an error report back to you and you’ll have the opportunity to quickly make the changes and re-file. As you can imagine, the turnaround times for paper returns is much longer. Finally, there’s also less of a chance of your return getting lost if you e-file. In fact, there’s zero chance your return will be lost. But the same can’t be said for paper returns. 3. Better security. At first glance it may seem more risky to transmit your personal details and banking information over the internet. But e-filing uses encryption technology, which scrambles your data before it’s transferred from your computer to the IRS. By e-filing, you never have to print your return, nor do you have to physically mail it. If you mail your return, your personal data, written in non-encrypted English, is available to anyone who can access and open the envelope. Of course, some people cannot e-file because (1) they are amending a return, or (2) they might have to file a form that isn’t on the list of forms that can be e-filed with the IRS. If this is you, then get to work on that paper return so you can avoid the rush. Finally, you might not want to e-file your tax return because you owe money and you want to delay payment for as long as possible. If you are so inclined, mailing your return with a check on the last day to file taxes, April 18th, will delay your tax payment as long as legally possible. Just be sure to bring along some reading material for the post office. Yep, we e-filed using Turbo Tax. In fact e-filed five times and each time the IRS refused to accept because IRS has issued me a Pin, but refuses to do so for my spouse. So we used our 2009 AGI (as required) in place of her PIN and IRS claims the AGI figure is incorrect,even though IRS personnel have agreed the number we supplied is correct.